2.Please use it up as soon as possible after open. 2. All ingredients origin from CIQ approved areas 3 . As factory, we can do OEM, produce with clients brand and private logo . 5 . 3 YRS Weifang Xindu Foodstuffs Co., Ltd.
3 YRS Shandong Luscious Pet Food Co., Ltd.
10 YRS Qingdao Tiandihui Foodstuffs Co., Ltd.
24 hours on line service Specialist Nutritionist Guide Certificate We are the most professional manufacturer in China. Our Factory has passed HACCP and ISO9001 ,also registered by EU and US FDA . 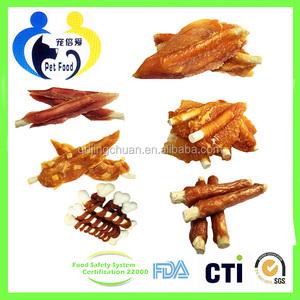 in compliance with export standards -Products : chicken series,duck series,pork series,lamb series,beef series and cat snack series. 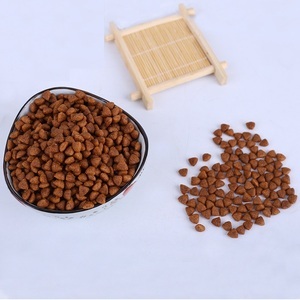 10 YRS Shanghai Fubei Pet Food Co., Ltd.
organic natural crunchy Dry Dog Food Lamb and oatmeal formula provides complete and balanced nutrition for all life stages. 3 factories with more than 200,000 tons production capability per year . Over 10 years OEM experience Make Private label for 25 countries more than 50 brands. 9 YRS Qingdao Yalute Foods Co., Ltd. 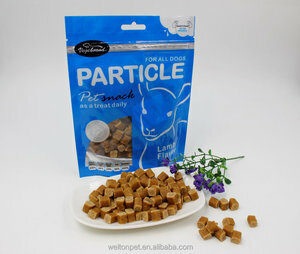 It is suitable for all kinds of dogs,including pregnant dogs,sick dogs ,postnatal dogs and immunity-weak dogs. 3). 6.Storage: Store in a cool, dry place; not for human consumption, keep out of reach from children. which have been sold to all over the world, such as USA, Japan, Korea, Europe, Southeast Asia, Middle East, Russia ect with good reputation. 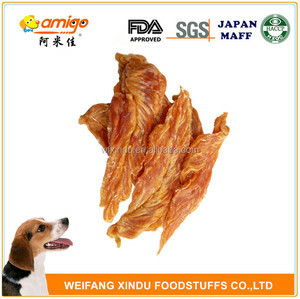 Dried Duck Sandwich Dice with Round Cheese delicious dog food and dog snack dog treat Main Ingredients : duck ,codfish ,cheese Guaranteed Analysis: Crude Protein 50% min Crude Fat 5% max Crude Fiber 3.5% max Crude Ash 5% max Moisture 25% max TDH could provide a wide range of categories TDH products are approved by a number of international standards. Factory Tour Packaging & Shipping Packaging Style Colorful Bags/ Transparent Bags (with head card/ label)/ PET Box/ Display Cartons/ Outer Cartons or as requested Regular Unit Weight 70g/100g/180g/250g/1kg or as requested TDH could provide individual OEM packaging service. 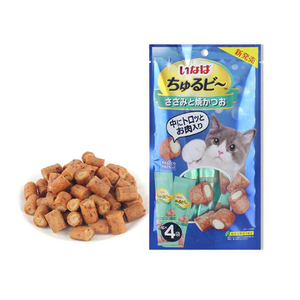 Alibaba.com offers 2,848 pet food japan products. 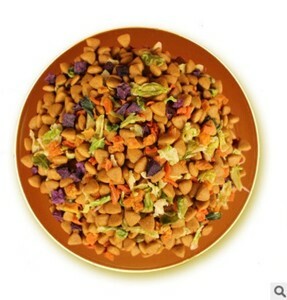 About 16% of these are pet food, 4% are food bags, and 4% are pet bowls & feeders. 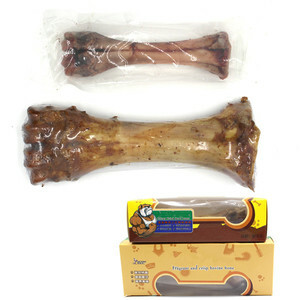 A wide variety of pet food japan options are available to you, such as stocked, eco-friendly. You can also choose from free samples, paid samples. 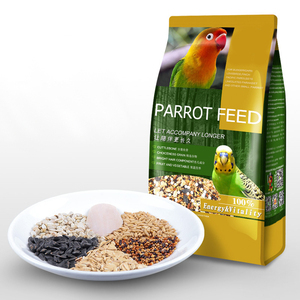 There are 2,848 pet food japan suppliers, mainly located in Asia. 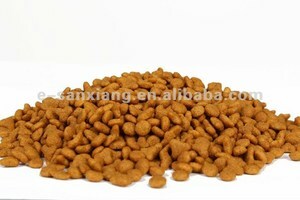 The top supplying country is China (Mainland), which supply 100% of pet food japan respectively. 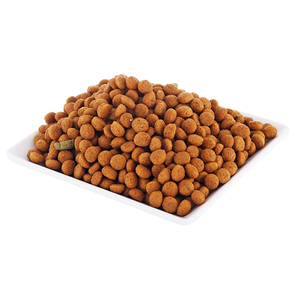 Pet food japan products are most popular in Domestic Market, Eastern Europe, and North America. You can ensure product safety by selecting from certified suppliers, including 646 with ISO9001, 230 with HACCP, and 178 with ISO22000 certification.